During election campaign you had assured the widows of martyrs & retired defence personnel’s mothers & sisters that, after winning the elections you would implementing the One Rank One Pension scheme as soon as possible. Your party’s agenda too had mentioned this. Your party has completed a year of power, but still the scheme One Rank One Pension, has not been implemented. On 26.02.2015 the meeting of Ex-servicemen welfare Ministry was held under the chairmanship of Defence Minister, at Room no. 103, South Block, New Delhi. This meeting was attended by, defense Secretary,che three Vice Chiefs of Armed Forces, other senior officers from the Services Head Quarters & the concerned Joint Secretaries of the Ministry. During the course of meeting, the Hon. Defence Minister reaffirmed the Government’s commitment to implement the OROP & that sufficient funds would be made available to ensure its timely implementation. He specifically indicated that the Finance Minister had also clarified that the figure of Rs.500 crore made available was only indicative & even if more funds are required, they would be made available. But so far there has been no action. On the issue of OROP, citizens had filed petitions in the Supreme Court. The SC had directed the Govt. 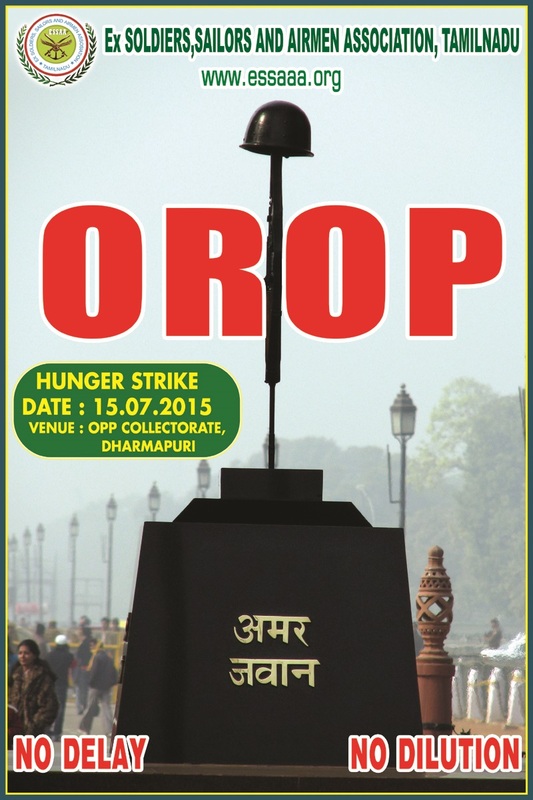 of India on 16.02.2015, to take decision regarding implementation of OROP, within three months’ time. No more time would be allotted now. The SC had given time frame of three months to the govt. The Govt. has failed to take any decision in these three months’. The Govt. has not adhered to the SC’s directive. This is not in the interests of the govt. Today many Retired Armed Forces Personnel’s receive very less pension due to non-implementation of OROP. The soldier after serving the motherland, is not able to lead his life with dignity. The Armed Forces martyrs have their widows and children left behind. Today these widows receive rupees Rs.4,000 to Rs.5000 Pension. How can these families survive, in this amount? How can they educate their children? The govt. must think about this seriously. The armed forces personnel are serving the nation in severe conditions of 47 degrees temperature in the deserts, high mountainous ranges of Himalayas, Forests & snow clad regions across the borders of the motherland. But after retirement they are not able to lead the life of dignity due to low pension. Being an armed forces personnel, I myself had lived a life in the snow clad mountainous regions of Himalayas. I had experienced harsh conditions in those days. One can never experience these conditions sitting in an air conditioned rooms. As the govt. is not sensitive about these hardships, the retired armed forces personnel’s, the widows of martyrs’, mothers, sisters, are leading a hard life due to low pensions. You all Parliamentarians get amenities of railway, electricity, water, luxurious apartments and still feel that the salary of Rs.50,000 is to be raised to one lakh rupees, as it is inadequate. On one hand, the widows of martyrs & retired armed forces personnel are getting low pension of Rs.4,00 to Rs.5,000 and on the other hand, the salary of Rs.50,000 is too less and therefore should be raised to one lakh rupees. The person demanding salary of one lakh are the servants of the nation. Isn’t it going to give rise to social inequality? The Constitution says that the social inequality should not rise in the country. The Land Acquisition Ordinance was opposed in the Rajya Sabha as well as by the farmers in different parts of the country, but it gets passed in the Lok Sabha with majority, but the one rank one pension bill is not passed, which is unfortunate. To raise the salary to one lakh rupees is against the interest of the country but when this suggestion is brought in the Parliament, it could get passed. You have the majority but there is lack of will. Before entering the pious temple of democracy you had bowed your head at the doorsteps; we countrymen thought that sanctity of this institute would rise. After you have got power & majority in the Parliament, you all are demanding a rise in salary to one lakh rupees; are these the holy thoughts to be addressed in the pious temple of democracy? In support of Lokpal & Lokayukta Bills, the public had come out on roads to express their discontent against the Congress govt. Under public pressure the govt. had to pass these laws. The President too had signed these laws. Last year I had wrote to you several letters regarding implementation of Lokpal & Lokayukta & Land Acquisition bills, but the govt. hasn’t replied me yet. Neither Lokpals nor Lokaayuktas are appointed. I had written to Congress govt. several times to pass the bills of Lokpal & Lokayukta, but since it ignored it, the public agitated in support of Lokpal & Lokayukta and crores of people participated. Once more I am planning to start a countrywide ि on the points of one rank one pension & land acquisition ordinance, for the welfare of farmers & soldiers. I am confident of public support & participation in this agitation. Many times I have repeatedly said that our agitation is not against any political party or any individual. For the last 30 years, I have been agitating for the benefit of the society & nation &its development. 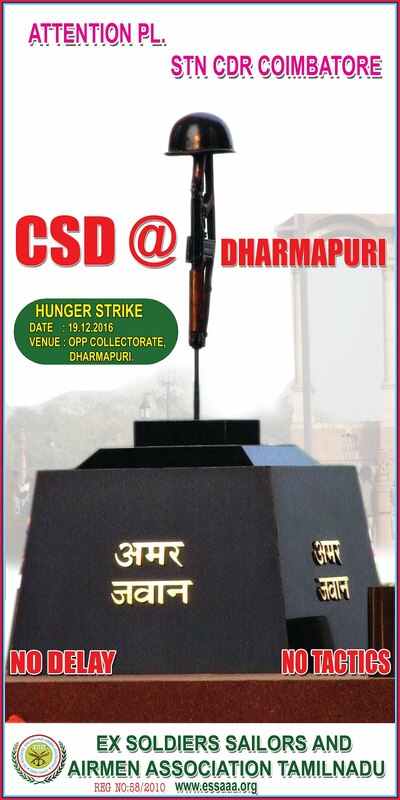 This time too, the agitation would be with selfless attitude & non-violence. The agitators would not be from any political party. However, during the agitation if any one wishes to join, we can’t stop them. But on the dais of the agitation, there won’t be anyone from any political party. On one side, you, as our PM is giving slogan of ‘Jai Jawan Jai Kisan’ but on the side, you are neglecting them. Once again I request you to provide the citizens of this democratic nation, their rights, which they are eligible to. It’s the responsibility of the govt. to restore citizens’ their rights. It’s unbecoming of the govt, that the citizens have to come on the roads & agitate to get their rights. My next letter would contain the dates of agitation in Delhi & other parts of the country.